Arunachal Pradesh is a beautiful Indian state, whose name literally means “the land of the rising sun”. People who have travelled to this part of the country have spoken about seeing a slice of heaven on earth. So when the adventurous couple – Alex and Sebastiaan, took a trip to Arunachal Pradesh, we HAD to get them to share their experience with us. Hello, welcome to India! Tell us a bit about yourselves, and the journey so far. Alex: Hi! We’re Alex and Sebastiaan. I am from America, and my he is from The Netherlands. We’ve been on the road for over a year, and are still living out of our backpacks! When we’re not exploring places and planning our journey to the next destination, I like to hone my photography skills and figure out ways to live on an ice-cream-only diet :), while Sebastian devours manga and periodically bemoans his lack of a PlayStation while traveling. We’ve been traveling full-time since February 2016. We had both visited more than 40 countries before leaving for this trip. But, in the past year-ish period, we’ve been to Georgia, Armenia, Iran, Pakistan, China, Kazakhstan, Kyrgyzstan, Uzbekistan, Afghanistan, and India (in that order). 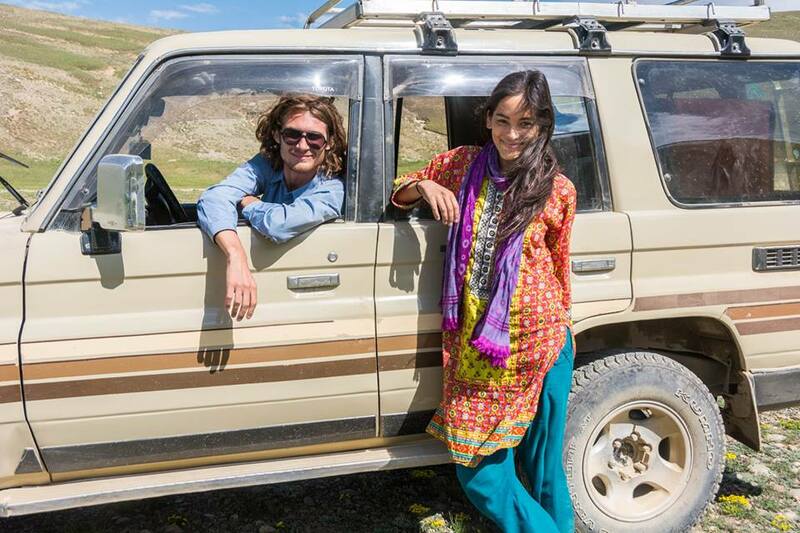 Tell us about your India trip – your favorite destinations so far. 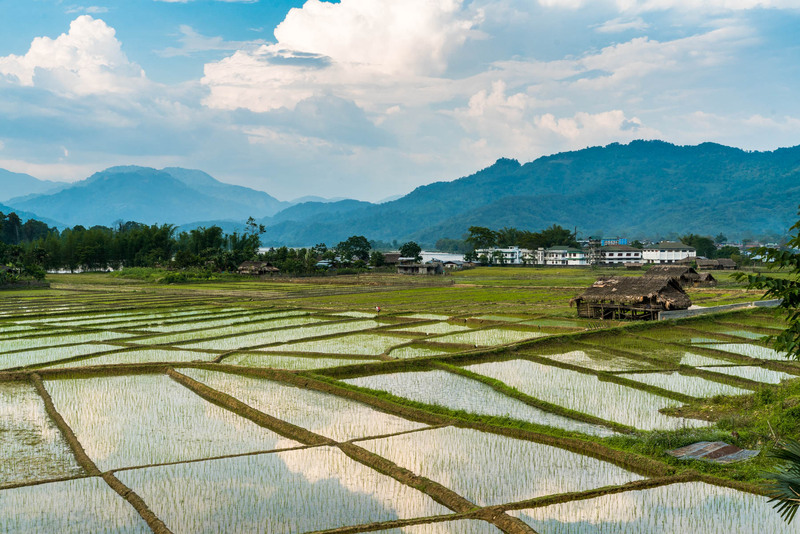 The Northeast, specifically Arunachal Pradesh, took our breath away. After traveling through the congested cities of the Indian mainland, the sprawling landscapes and relaxed nature of Northeastern India is a figurative and literal breath of fresh air! We’ve traveled a bit through Assam and Meghalaya as well, but their landscape pales in comparison to the mountains of Arunachal. Mechuka was by far our most favorite stop. The people are incredibly sweet, and no matter where you look, your eyes are treated to picture-perfect views. We spent our days in Mechuka just picking a trail and walking until we couldn’t walk anymore. It was a blast! 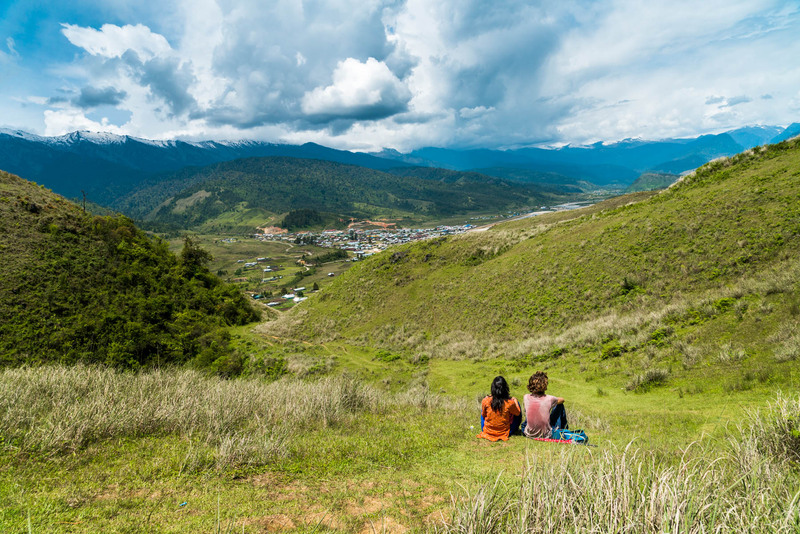 Alex and Sebastian, taking in the beauty of Arunachal. 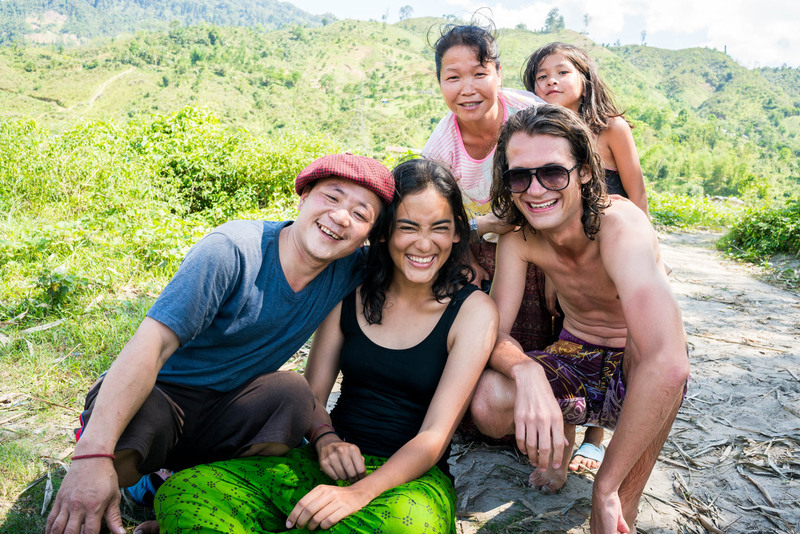 The backpackers with the locals. Share an unexpected turn of events that happened while in Arunachal. Oh this happened in Daporijo, a small town along the Subansiri river in Arunachal Pradesh, India. We arrived there on a Saturday night, after one of the bumpiest and most unpleasant drives we’ve had to date. It was supposed to be a one-night stopover en route to another town further on. And then we found out that the only transportation in that direction wouldn’t leave until Tuesday.We examined every possible way of getting out of the town, only to be defeated. There was no way around it—we were stranded until Tuesday. But what initially seemed like a disaster ended up being a blessing. The people in Daporijo were utterly delighted to see foreign tourists, and we were shown some Grade A hospitality. We were treated to beers on the riverside, scrumptious fresh fish in people’s homes, and given rides on the backs of motorbikes all over the area. It was a treat, to say the least. It was a reminder that plans aren’t everything when traveling. After being “stuck” in Daporijo for four days, we got stuck once more in the small town of Along in Arunachal Pradesh. But, on the bright side, Along’s surroundings are gorgeous! It was hard to stay frustrated when we were treated to views like these (below) every time we walked out of the town. It was a reminder that plans aren’t everything when traveling. If everything is falling to pieces, sometimes it’s better to simply go with the flow, and see where you end up. In our case, we had many pleasant surprises! Your advice to R&L readers, who are planning a backpacking trip? Pack half of what you think you’ll need. The lighter you pack, the better! Just bring some soap and wash your dirty clothes in the sink or bucket. Spread the cash out across your belongings when you travel. Don’t just eat in your hotel all day. Spend money in as many different places as possible to help the local economy. Avoid restaurants and shops right next to major tourist sights. They’re always the most expensive… and often not very good.